You've seen the Donald Trump toilet paper, you've seen the Donald Trump cat scratcher post, and you've seen the Donald Trump pinata. 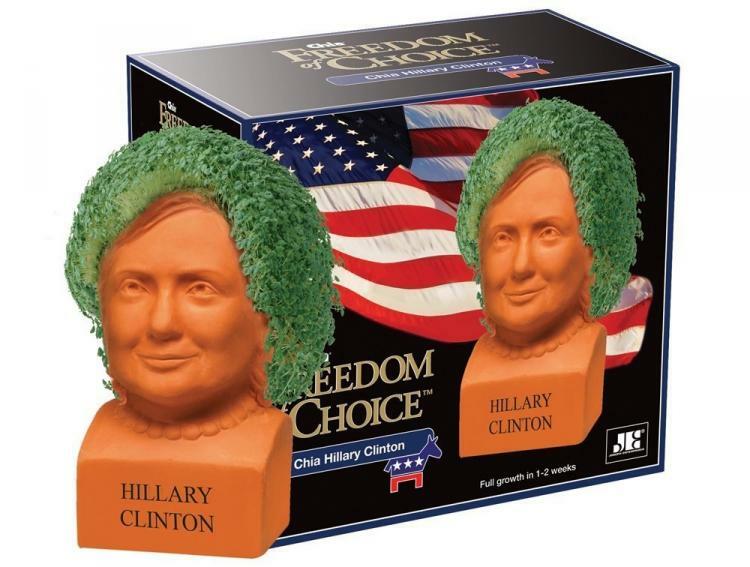 I think the only thing left to make fun of Donald Trump via a quirky product would be to make a Donald Trump Chia pet. 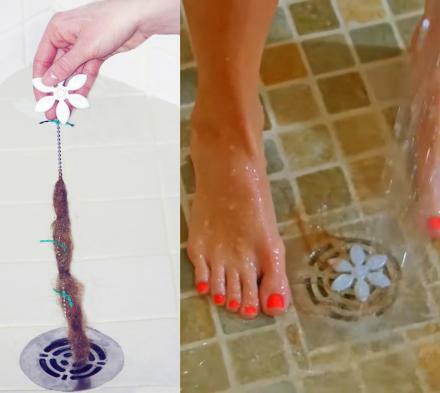 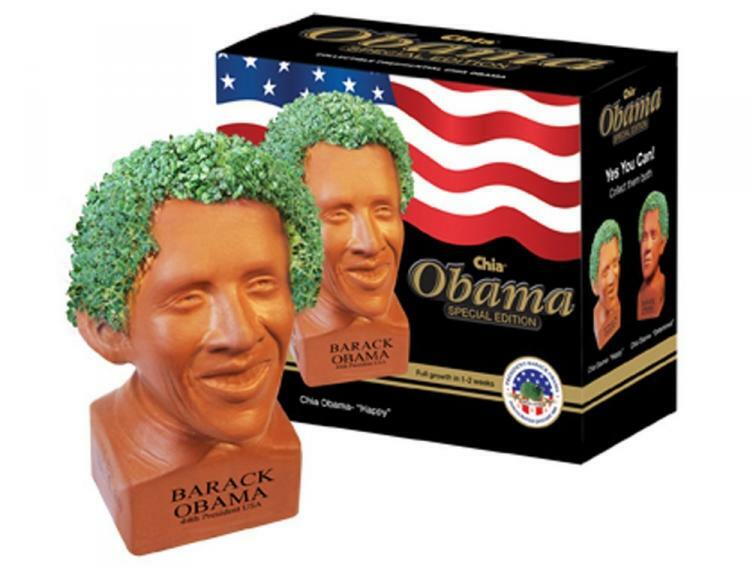 Now you can grow your own Donald Trump toupee at home in fabulous plant form with a classic Chia pet made to look like Donald Trump. 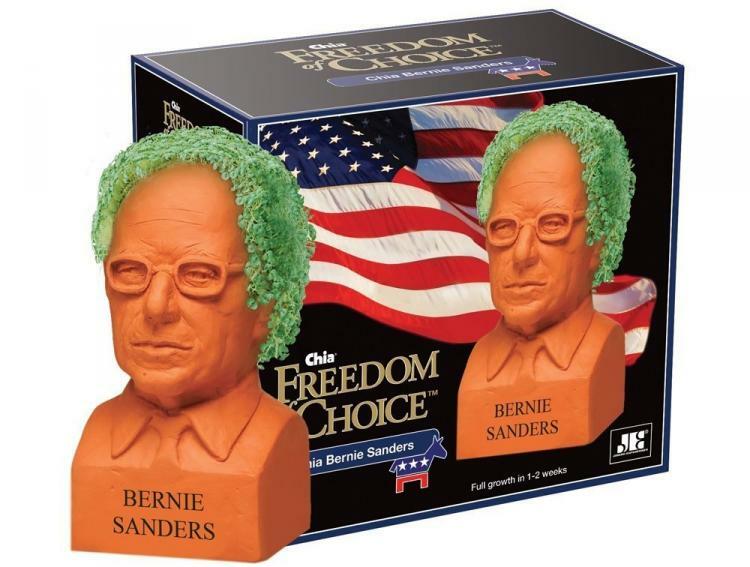 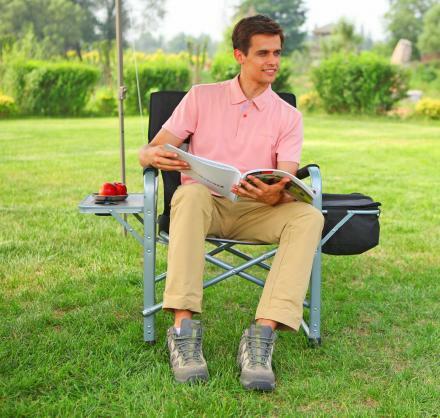 Made by Chia, the maker of the original Chia pet, the Donald Trump chia pet is just one of their many political Chia pets, with others including a Barack Obama Chia pet, a Bernie Sanders Chia pet, as well as a Hillary Clinton Chia pet, all of which are available here. 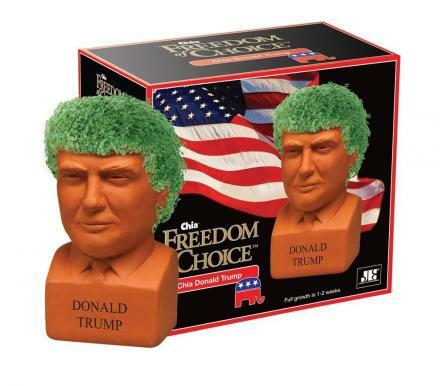 The Donald Trump Chia pet contains a handmade pottery planter, Chia seeds for up to 3 plantings, a plastic drip tray to keep from making a mess, as well as planting and care instructions so you're Donald Trump Chia pet doesn't die. 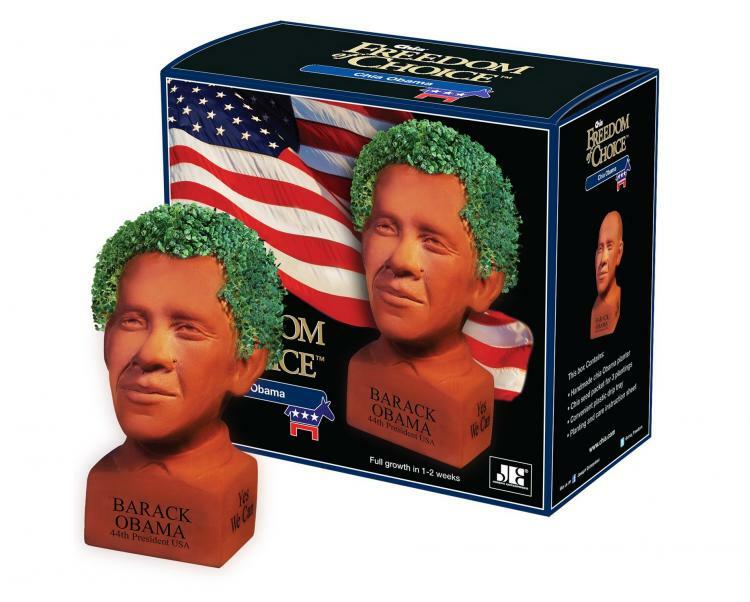 It will take 1-2 weeks for your Donald Trump Chia pet to grow to maturity and stop saying stupid things.